I’ve really been failing when it comes to my new year’s resolution diet. I was supposed to have a more “colorful” diet – which means, eat something GREEN once in awhile. Unfortunately, I’ve decided that if you garnish something with fresh parsley, it counts. For whatever reason, I’ve been craving meat and potatoes and cheese constantly. And french fries. Lots of french fries. What goes great with a burger? Fries! What about a corndog? Fries! What about a steak?! Fries! 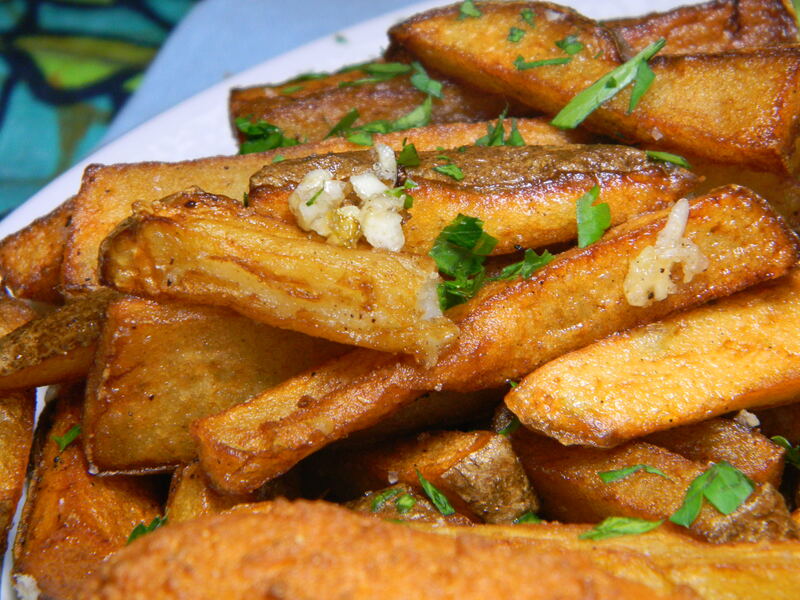 We’ve made fries before (thanks to our more than awesome FryDaddy – if you don’t have a deep fryer, we think you need one), but added a little garlic this time to make it super delicious. Give them a try this weekend with a yummy burger, and sprinkle some parsley on top for good measure. 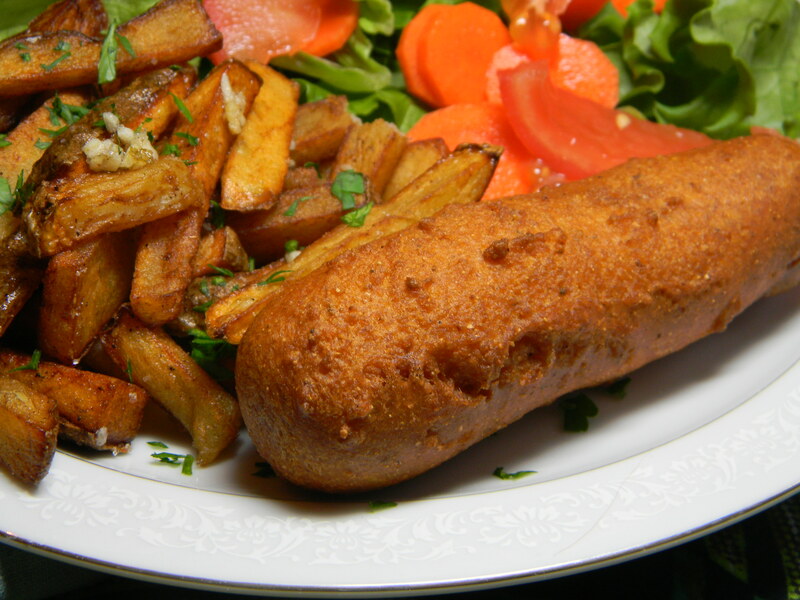 We had these fries with homemade corndogs and a side salad – we’re trying to get some color in there, too!